For the August Pinterest Challenge, I was inspired to create the fun fall DIY Washi Tape Pumpkins! Welcome to the August Pinterest Challenge Blog Hop, hosted by My Pinterventures. The purpose of this Pinterest Challenge is to motivate all the participants of this hop (and you too) to not just pin, but to make it happen! 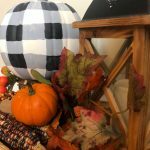 This month, I chose to make these DIY fabric tape pumpkins from Modern Mountain Life. 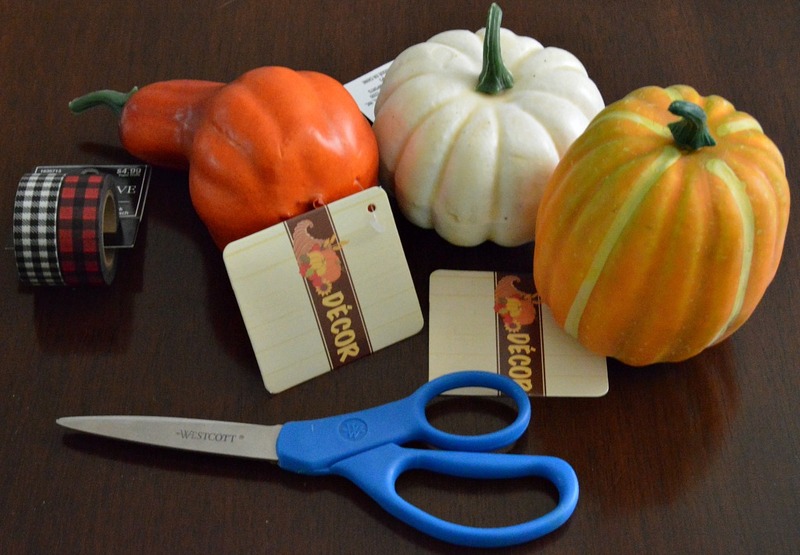 Katie has inspired me to add a little personality to dollar store pumpkins with this cute and clever idea. 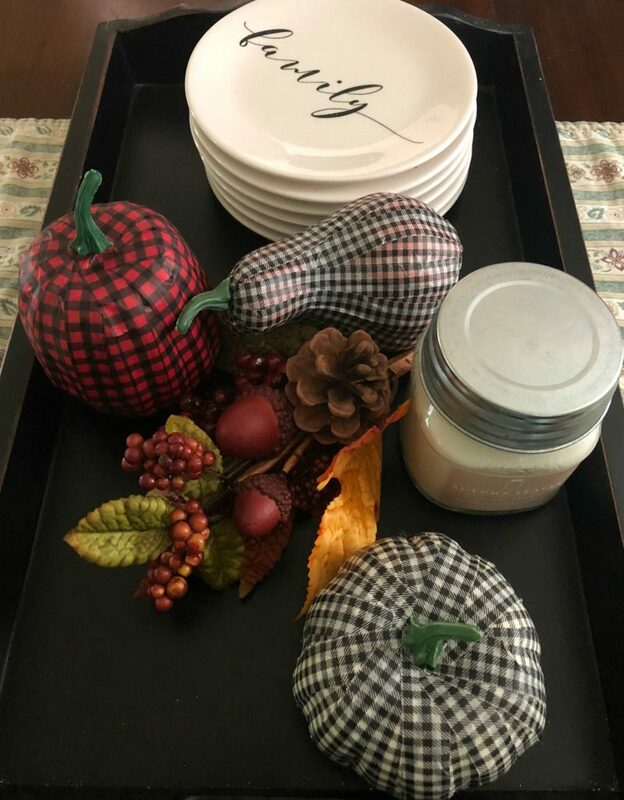 Katie used a brown and white gingham-style fabric tape on her pumpkins. I love the rustic look, but when I went shopping in search of fabric tape, I came up empty handed. However, I did find this fun gingham and buffalo check washi tape. With a 40% coupon from Hobby Lobby, it costs just a few dollars. I had picked up these festive fall gourds from Dollar Tree for just a dollar each, so the cost of this project was only about $6. I first removed the stem. Then, just like Katie, I wrapped strips of the washi tape from the stem to the bottom of the faux pumpkin. I overlapped where necessary to cover the entirely. I found it very tricky with the washi tape to get it smooth. As careful as I was, there are inevitable bumps and creases. When finished, I just popped the stem back into place. On one of the pumpkins, it didn’t stay, so I just added a bit of glue. The lighter pattern worked well on the white pumpkin. On the darker gourd, I could see the orange color peeking through a bit. I don’t think the washi tape is as thick and covered as well as Katie’s fabric tape. If I did this again, I might first paint the faux gourd a lighter color. All in all, I am not sure that this project was a success. 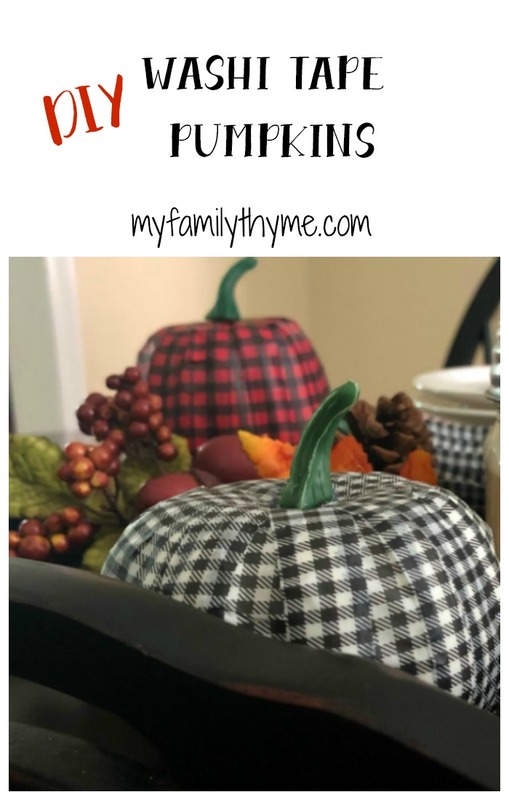 I love the look of these little patterned plaid pumpkins, but the creases and color peeking through bothers the perfectionist in me. I think it would be much more successful with the thicker and more textured fabric tape, like Katie used. Good old washi tape to the rescue! These look fab, I’m loving gingham and buffalo check at the moment, I’m never sure what the point is when it changes from one to the other! Isn’t washi tape amazing?! I love the fun patterns. Have a wonderful week, Julie! Honestly I think they look great. From the pictures the colors showing through was hard to see. 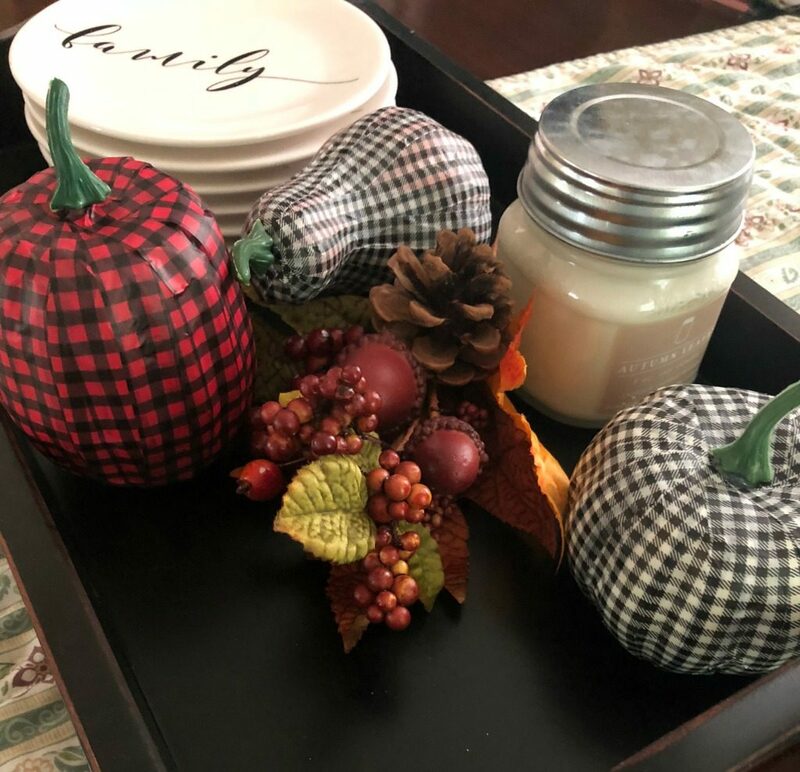 I’m loving the washi tape in the buffalo plaid, I’m going to have to go back to Hobby Lobby. I would call this a win. I’m in love with them. Pinning! Thank you for your kind words, Jenny! Those washi tape patterns caught my eye and I love how they look. Wishing you a wonderful week! Your washi tape pumpkins look great! This is such a fun way to dress up those plain pumpkins. Pinning. I appreciate your kind comment, Beverly! 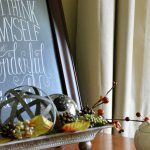 It is so much fun to decorate for the seasons and make some new decor! OH I think those look adorable. Often those flaws don’t show up unless we’re up close I guess. I was wondering if you had any problem with the washi tape sticking or if you needed to add any modge podge or glue to it. Thank you for your kind words, Joanne! The washi tape was great and stuck without any problem. Wishing you a great week! They turned out really pretty Love the buffalo check. I think you can fix the see-through issue easily by painting them first. You found some really pretty washi tape! I don’t know how to fix the seams but just don’t worry about that. They are really pretty! Thank you so much, Shirley! I always appreciate your kind comments. Best wishes for a wonderful week! So cute! 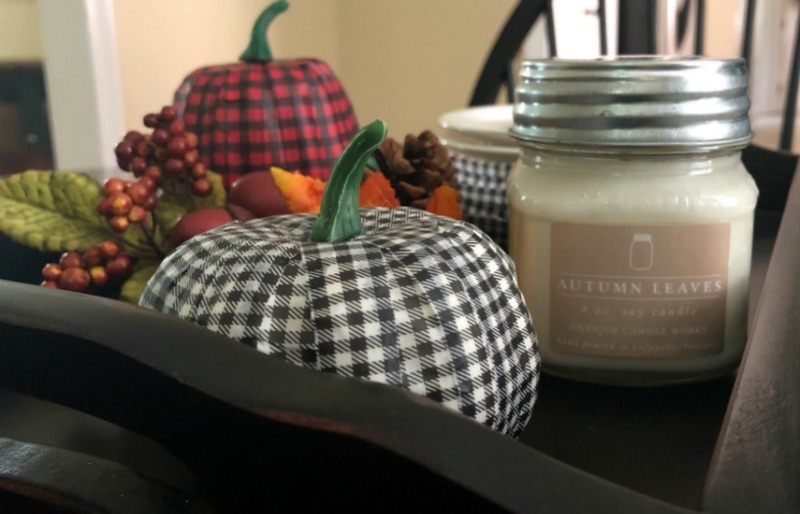 Love seeing all the fall decor! FYI – the InLinkz part of the post seems to be missing on your page. 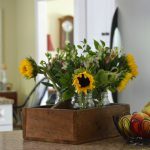 These look great and I love that they are farm style fall decor. Perfect for tiered trays because you can also hide what bothers you (I didn’t even notice the color peaking through until you pointed it out). I bet these would look great with burlap ribbon too. Thanks for the inspiration. Pinning. I think the pumpkins look great. I love the washi tape you used. I would say your project is a winner. Don’t be so hard on yourself! At first glimpse, I thought you had sewn these darling fall pumpkins. And only after you’ve mentioned the bumps and creases I looked hard enough to make them out. This project was totally a success as everyone can do it with the detailed instructions you provided! Pinning. I didn’t even realize there was fabric washi tape as I’ve never seen it at the craft store? Good to know if you don’t want to paint and need full coverage. Thanks for sharing your experience…I learned something new! Very cute! I love how your pumpkins turned out. 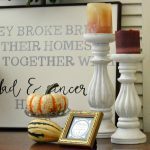 This is a fun fall project! Oh, doll, I think these are cute as a bug’s ear! If you hadn’t mentioned the issues you had, I wouldn’t have even noticed! I had similar trouble when I wrapped doilies onto some pumpkins. It is just hard to cover round things! I bet if you spray painted these pumpkins with white paint first that would eliminate any color showing through. They really are festive and fun. Great work! Personally, I think they look great, but I agree that either painting the gourds first or using fabric tape would give you the result you’re wanting. No harm in giving it a try, though, and the rest of us can learn from your attempt and suggestions. What a fun way to dress up the pumpkins, I just picked up a bunch of those at the dollar store myself but hadn’t decided what to do with them yet. This is a great and fast project. Pumpkin crafts are so much fun to do and this one is so easy as well.